Its very simple to use. 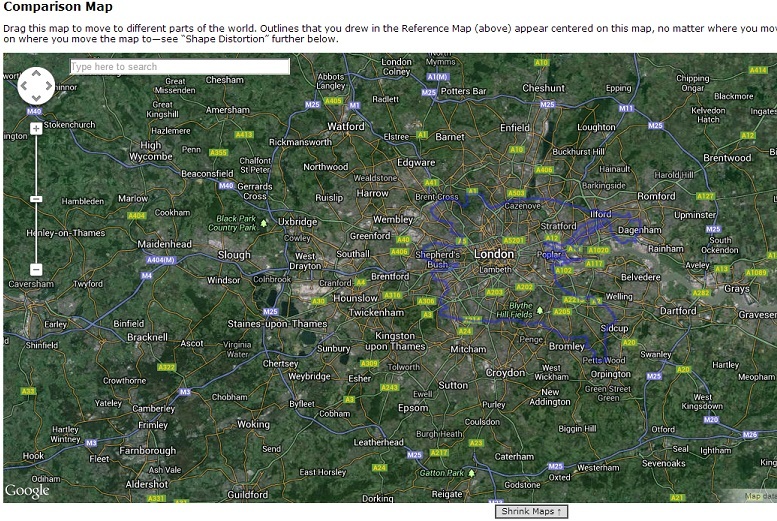 It uses two windows with maps, the top one is called the reference map. It is here that you find and draw a line around the base object you wish to use as a comparison. 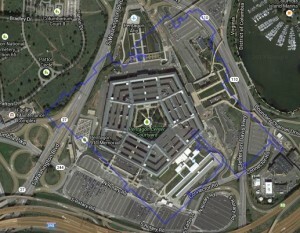 First I outlined the building foot print of a large iconic building, The Pentagon building in Washington DC in this case. 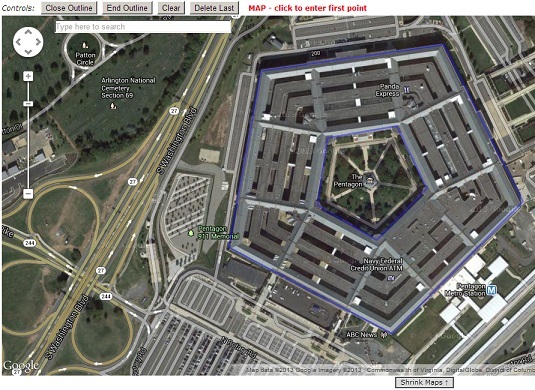 See below and note the blue lines around the building outer edge and inner courtyard. 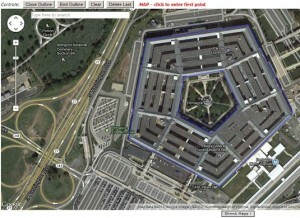 Then in the comparison map I compared the foot print of The Pentagon with other large buildings. Here it is compared to Waterloo Train Station in London, click to enlarge. And here it is compared to the New Century Global Centre in China, click to enlarge. And to change things around slightly, here is the outline of the largest building in the World (by footprint) overlaid on the The Pentagon. Again click to enlarge. Of course it goes without saying that bigger isn’t better, but still this is a very clever website for comparing parts and objects in the World. There are lots of other interesting uses for instance: comparing Countries, lakes, counties, or even the route of your run overlaid on Rome or other historic city. 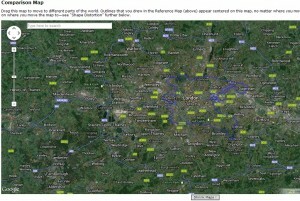 Thanks for sharing this, I too am amazed at Google Earth but I didn’t know about Mapfrappe. I will definitely check this website out today and compare some of the airport buildings I have worked in with those in other countries! Appreciate your tips! It is so true. The Google map/earth street view, birdseye view, building walk through, where you can virtually go into a shop on the high street of those who signed up for it is fantastic. Gives a whole new meaning to online shopping when you can virtually walk into Arnotts and virtually browse and pick up objects, it’d bring a whole knew online shopping experience. But would such a thing take off. Back to my original thought, the virtual site visit, especially to those hard to get places like the roof of a building is priceless in helping determine the orientation of roof structures you can’t see from the ground.